When Paul Burney Johnson Jr. was inaugurated as Mississippi’s fifty-fourth governor on 21 January 1964, he became the only son of a Mississippi governor to ascend to the state’s highest office. “Little Paul,” as he was fondly known among his supporters, was born in Hattiesburg on 23 January 1916. He earned bachelor’s and law degrees from the University of Mississippi and married Dorothy Power in 1941 at the Governor’s Mansion. In August 1947, shortly after his discharge from the Marine Corps, Johnson ran in the special election to fill the unexpired term of Sen. Theodore Bilbo but was defeated by John C. Stennis. Later that year Johnson ran for the governorship, losing in the Democratic primary. He again ran unsuccessfully for governor in 1951 and in 1955. In 1959 Johnson was elected lieutenant governor in the first primary. He was serving in that office in 1962, when James Meredith attempted to integrate the University of Mississippi. 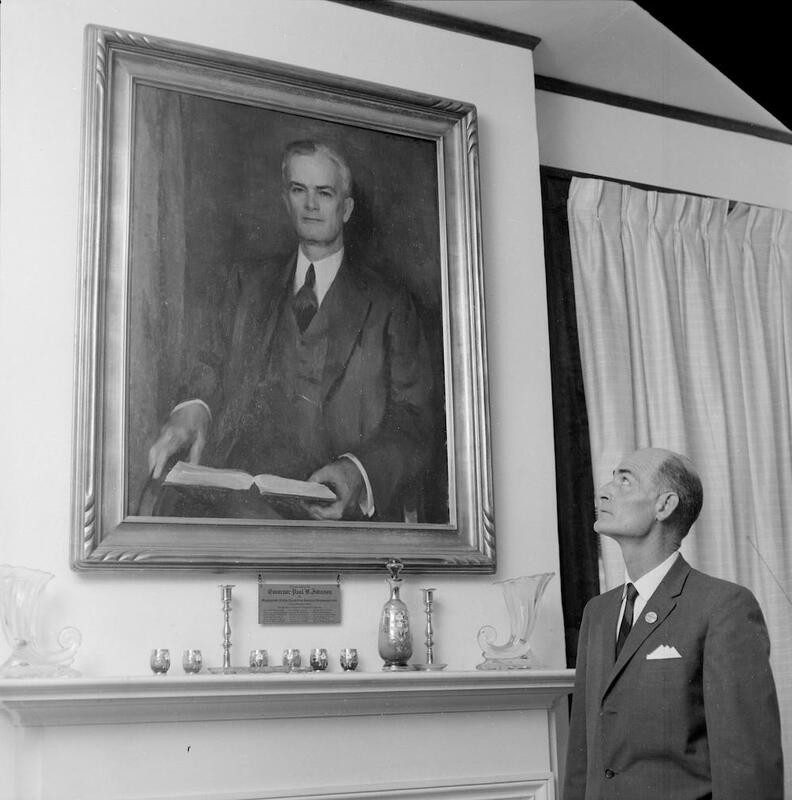 Johnson supported Gov. Ross Barnett’s defiance of the US Supreme Court. On one occasion Johnson stood in the middle of University Avenue and personally blocked Meredith’s entrance onto the campus. From that incident came the slogan Johnson used in his 1963 campaign for the governorship, “Stand Tall with Paul.” He defeated J. P. Coleman in a runoff election. During Johnson’s administration Mississippi reached a milestone in its economic development. In May 1965 the number of Mississippians employed in industry exceeded the number of agricultural workers for the first time in the state’s history. In 1967, while he held the office of governor, Johnson ran unsuccessfully for lieutenant governor. He then returned to his law practice in Hattiesburg and eventually assumed the role of an elder statesman in Mississippi politics. Johnson died at his home in Hattiesburg on 14 October 1985. Article Title Paul B. Johnson, Jr.